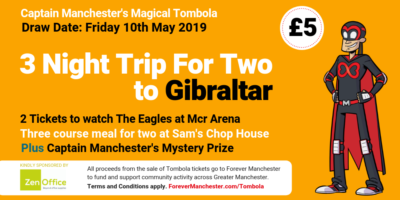 Kellogg’s has teamed up with Forever Manchester to award grants of £1,000 to school Breakfast Clubs, to help them provide breakfast to those children who need it most. You can apply for an award at any date and you will hear within one month if you have been successful. Please note the fund may close if oversubscribed. Your breakfast club must be based in a school in England, Wales, Scotland or Northern Ireland. 35% and above of children eligible for pupil premium funding and/or eligible for free school meals. Additionally, if your school has received breakfast club funding from Gregg’s or Magic Breakfast within the current academic year, your club will not be considered a priority for support. Only one grant per school in each academic year is available. 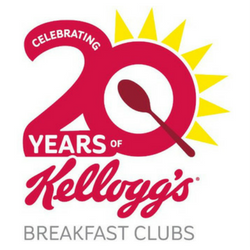 By applying to the Kellogg’s Breakfast Club Grants Programme you are agreeing to allow Forever Manchester and Kellogg’s to use your school’s details for publicity purposes. You are also agreeing that all details provided are accurate at the time of submitting your application. All schools that apply to the Kellogg’s Breakfast Club Grants Programme will be automatically signed up to the Kellogg’s Breakfast Club Network. Through the Breakfast Club Network, Kellogg’s will contact you with offers and information to help your Breakfast Club. You can save progress on your application and return to it at any point up until the application is submitted. Kellogg’s is an American multinational food manufacturing company headquartered in Battle Creek, Michigan, United States. Kellogg’s produces cereal and convenience foods, including cookies, crackers, toaster pastries, cereal bars, fruit-flavored snacks, frozen waffles, and vegetarian foods. The company’s brands include Froot Loops, Apple Jacks, Corn Flakes, Frosted Flakes, Rice Krispies, Special K, Cocoa Krispies, Keebler, Pringles, Pop-Tarts, Kashi, Cheez-It, Eggo, Nutri-Grain, Morningstar Farms, and many more. Kellogg’s stated purpose is “Nourishing families so they can flourish and thrive”. Kellogg’s products are manufactured in 18 countries and marketed in over 180 countries. Kellogg’s largest factory is at Trafford Park in Trafford, Greater Manchester, United Kingdom, which is also the location of its European headquarters.